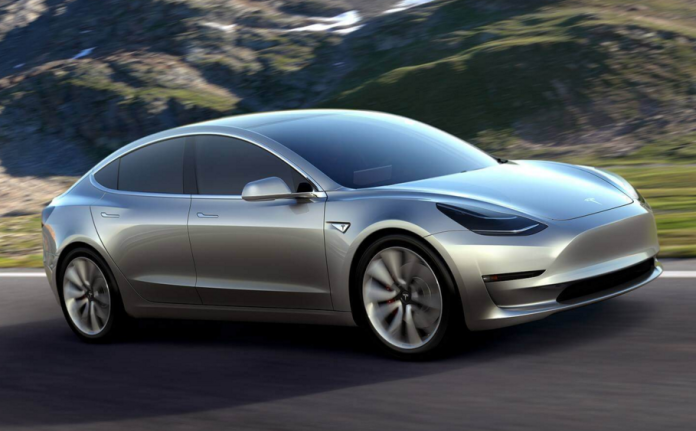 Tesla Motors will need to consider ramping up its manufacturing capacity after receiving an unprecedented demand for its new Model 3 electric car within a week of its launch at the beginning of April. The innovative carmaker said it has received over 350,000 preorders for its first mass-market vehicle, a number that surpassed all expectations and raised questions about the company’s capacity to answer the unexpected surge in demand. “A week ago, we started taking reservations for Model 3, and the excitement has been incredible. We’ve now received more than 325,000 reservations, which corresponds to about $14 billion in implied future sales, making this the single biggest one-week launch of any product ever,” the company said in a statement. Designed to achieve 5-tar safety rating, Tesla’s Model 3 can travel 215 miles with a single charge. The all-electric vehicle is capable of accelerating from zero to 60 mph in under 6 seconds, with a capacity to comfortably seat 5 adults.